Better OEM-looking wheel nuts for the Caprice? I'm wanting to put a better wheel nut on our car. I absolutely do NOT like those cheesy chrome covers they mold over the factory steel nuts. They bend, flex, and eventually peel off the nut, leaving you with a nut that now no longer fits your factory lug wrench. 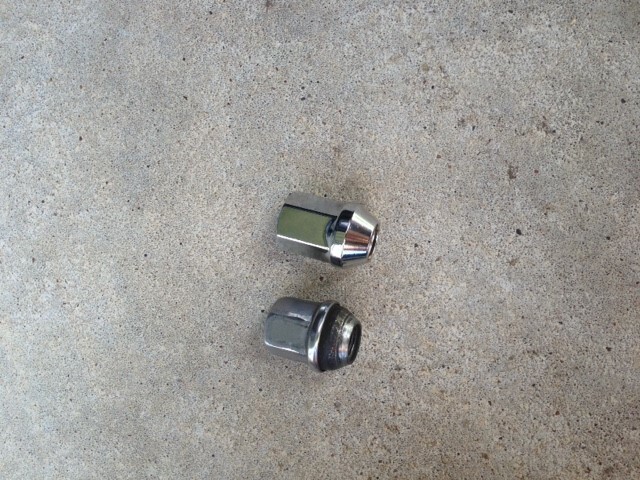 I've found that the chrome Doorman replacement lugnuts look like they'll fit fine, but they're a different socket size (3/4" vs. 13/16"/21mm for the originals). So, before I go trying to pack a pull handle and socket into the spare tire well, does anyone know of a satisfactory replacement for the OEM lugnuts that look like OEM lugnuts, but are actually one-piece, instead of covered? Thanks. Re: Better OEM-looking wheel nuts for the Caprice? I was lucky. the GF got new wheels for her 2010 Equinox. I got her OEM Wheels and lug nuts. The lug nuts are very beefy one piece chrome ones. Don't know if that helps or not. Based on the posting from here: viewtopic.php?f=19&t=2002, I grabbed a set from the vendor noted there, and over the weekend I installed them on the car. They fit and look great. They look exactly like the OEM lug nuts, but don't have that thick 'foil' covering that always leads to heartache down the road. The bonus is that they use the same socket size as the OEM units use, so there's no need to carry an extra pull handle and socket. Unfortunately, they were too shallow to also fit our Tahoe PPV, but I may have found a set of Gorilla Nuts that may work. I have a set on it's way now, and will hopefully have some to test by mid-week. Are the 9C1 center cap covers held on by a seperate screw and not the lug nut covers? 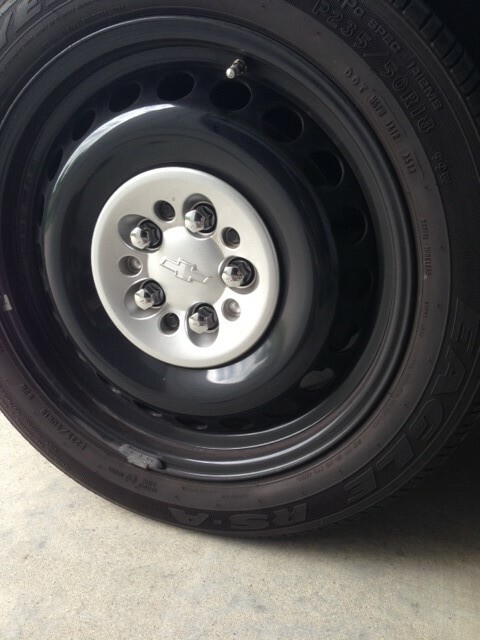 My 9C3 wheel covers are held on by the lug nut covers, which screw onto the externally threaded lug nuts. I'd like to replace the caps\covers with polished or black, but can't find any. Are the lug nut covers 27mm ? Just saw this query. Yes, the 'hub caps' are held on by three bolts each. Three of the spots between the lug nuts are for bolts, the other two are just caps. 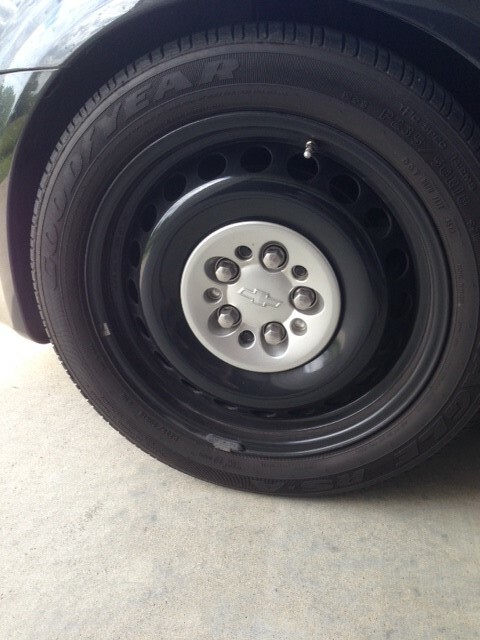 You can remove the hub cap with the lug nuts in place. The only thing I have with lug nut covers on the lug nuts is our '02 GMC, but I don't remember what size they are. I'm thinking they're 22mm. Reviving an old thread, but how are those lugs working out? Looking at getting the same for a set of Holden wheels. I bought the McGard set for our cars. Have them on the truck as well. Guaranteed to never rust, peel, chip, crack, and are triple chrome plated. 22mm hex, 1.6" in length, perfect imo. If you don't like locking lugs, you can get a set without them. $64 bucks for the set. Sorry, don't venture down into the tire section much. They're holding up fine, but I've probably put 1000 miles on the car since the install, and the car stays in a garage when not in use. The wheel nuts on the Tahoe, though, have been around the block a few times, and are also holding up fine. They're the same wheel nuts. Thanks for the info Gene. I went ahead and bought them last week. I'll report back once I get the suspension, brakes, wheels, and tires installed.